LIBOR rates adjust throughout the life of the loan. For individuals who have, or are thinking about getting, an adjustable rate mortgage (ARM) loan, understanding the LIBOR index is very important. This index is a commonly used benchmark for determining adjustment amounts for ARM loans. 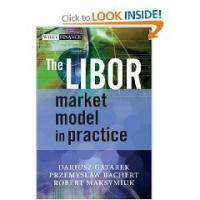 What is the LIBOR Index? LIBOR is an acronym for "London Inter-Bank Offered Rate." It represents the interest rate that a particular group of London banks are willing to pay for deposits of United States currency with a predetermined maturity date. The index is based on a complex calculation that takes into consideration a variety of factors including currency rates, time, and maturity. This index is used to set rates of a variety of different types of loans with adjustable interest rates. In October of 2007, the U.S. Federal Housing Administration (FHA) ruled in favor of insuring ARM loans based on the one-year LIBOR index. At the same time, HUD also ruled to allow the one-month LIBOR to be used for the purpose of calculating adjustments to interest rates for monthly adjusting Home Equity Conversion Mortgage (HECM). Some LIBOR loan have interest rates that adjust monthly, and others adjust much less frequently. Both principal and interest (P&I) and interest-only (IO) mortgages can be based on the LIBOR. Interest rates on adjustable rate mortgages increase and decrease in direct proportion to the LIBOR index. When the LIBOR is on the upswing, that means that individuals who hold ARM loans tied to the index will experience increasing interest rates and monthly payments when it's time for their loans to adjust. If the LIBOR is trending down, interest rates may remain stable or even decrease at the time of adjustment. Based on FHA regulations, decisions about interest rate adjustments on LIBOR loan products must be based on the most recent index published in the Wall Street Journal. New rates are published on the first business day of every week. Adjustments are made at predetermined intervals, based on the original terms of the loan. One Month LIBOR Loan: With this type of loan, the actual interest rate does not change during the term of the loan. However, the interest paid on this loan is the sum of the interest rate plus a margin based on the LIBOR index. The index value is adjusted every month, causing your payment to fluctuate monthly. These same types of loans are available with six month and one year index value adjustments. 3/1 LIBOR ARM: With this type of loan, the interest rate is fixed for a period of three years. After the initial three year term, the interest rate adjusts once each year. 5/1 LIBOR ARM: The borrower will have a fixed interest rate for five years, and the interest rate will adjust once a year after the fifth year. 5/6 month LIBOR ARM: With this term option, the interest rate is fixed for the first five years of the loan. After the fifth year, the interest rate adjusts every six months. 7/1 LIBOR ARM: The interest rate is fixed for a period of seven years with this term. 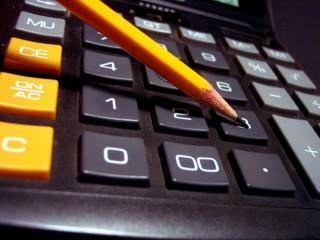 After the seventh year, the interest rate adjusts once each year. 7/6 mo LIBOR ARM: With this term option, the interest rate is fixed for seven years, after which the interest rate will adjust twice annually. 10/1 LIBOR ARM: The interest rate is fixed for 10 years, and then adjusts once each year based on the LIBOR index. 10/6 month LIBOR ARM: With this term, the interest rate is fixed for the initial 10 years of the term, after which time the interest rate changes based on the LIBOR index every six months. You are the only person who can decide which type of mortgage is best for you. When searching for the best home loan for your needs it's important to work with a knowledgeable and trusted mortgage professional who has your best interests in mind. Take the time to thoroughly research your options before making a final decision. If an adjustable rate or interest-only mortgage makes sense in your situation, it is a good idea to investigate the different types of home loans based on the LIBOR index. Make sure you understand the risks and benefits of ARM loans, and be sure that you can afford the payments if interest rates increase when it's time for your first adjustment.